The past year has been controversial, to say the least. Now…it is beyond “Keep Austin Weird” out of control. The following article pretty much describes what happened in this election. I will be honest: I was not a Hillary guy, but I wasn’t a Trump guy, either. I am happy with the outcome, though, because the “the people” spoke with a louder voice than the have since the Dewey-Truman race. Trump is definitely a POPULIST president, and here is the truth, and proof (from a re-post by Paul Craig Roberts). It was midnight in America. The day of the election millions Americans got up and stood in front of the Machine, the great iron wheel that had been grinding them down. They stood there even though the media told them it was useless. They took their stand even while all the chattering classes laughed and taunted them as white trash racists. They were fathers who couldn’t feed their families anymore. They were mothers who couldn’t afford health care. They were workers whose jobs had been given to foreigners in foreign countries so that the incomes of oligarchs could rise. They were sons who didn’t see a future for themselves. They were daughters afraid of being raped by the undocumented illegals flooding into their towns. They took a deep breath and they stood. Blue America crumbled. The Blue States fell one by one. Ohio. Wisconsin. Pennsylvania. Iowa. The white working class that had been overlooked and trampled on for so long got to its feet. It rose up against its oppressors. The rest of the nation, between the West coast and the North East coast, “the fly-over zone”, rose up with it. They fought back against their jobs being shipped overseas while their towns filled with migrants that got everything while they got nothing. They fought back against a system in which they could go to jail for a trifle while the elites could violate the law and still stroll through a presidential election. They fought back against being told that they had to watch what they say. They fought back against being held in contempt because they wanted to work for a living, take care of their families, and protect the sanctity of marriage. This wasn’t a vote. It was an uprising. Like the ordinary men chipping away at the Berlin Wall, they tore down an unnatural thing that had towered over them. And as they watched it fall, they marveled at how weak and fragile it had always been. And how much stronger they were than they had ever known. Who were these people? They were the neglected in the fly-over country that is the heart of America. They didn’t have university degrees, and they had never set foot in a Starbucks to pay $5 for a cup of coffee. They were the white working class. They didn’t talk right or think right. They had the wrong ideas, the wrong clothes and the ridiculous idea that they still mattered. They were told they were wrong about everything. Illegal immigration. Black Lives Matter, but not jobs for the oppressed middle class. Manufacturing is unnecessary for an economy in which financial profits are all important. Transgendered bathrooms. Same gender marriages. Americans were supposed to bow down and surrender to a handful of perverts. Told that the future belongs to the metrosexual dot com transgendered globalist, and not to the guy who once had a good job before the globalist corporations with Washington’s blessings sent it to China or Mexico, real Americans revolted. White trash American couldn’t change anything, declared the pundits. But instead of adapting to the inevitable future of America’s demise, they got in their pickup trucks and drove out to vote. Barack Hussein Obama boasted that he had changed America. And he did for the worse. A billion regulations, millions of immigrants, a hundred thousand lies and it was no longer our America. White Trash America voted and sent Obama to Hell. They walked through him and through the Democratic Party like the wet paper bag that they are. Voters abandoned the party that had sold out the American people. More black Americans voted for Trump than voted for Romney. The election repudiated the Obamas, the Clintons, the celebrities, and the media. Americans turned the One Percent’s world upside down. CNN is weeping. MSNBC is wailing. ABC calls it a tantrum. NBC damns it. It wasn’t supposed to happen. The same machine that crushed the American people for six straight terms, the mass of neoconned government, globalist corporations and oligarch-financed non-profits that ran the country, was set to win. Or so they thought. Instead the people stood in front of the Machine. They blocked it with their votes even though the media told them Hillary was the certain winner. They mailed in their absentee ballots even while Hillary Clinton was planning her fireworks victory celebration. They looked at the empty factories and barren farms. They drove through the early cold. They waited in line. They came home to their children to tell them that they had done their best for their future. They bet on America. And they won. They are tired of the absence of affordable health care and recognize the fraud of Obamacare. They are tired of unemployment and of being lied to. They are tired of watching their sons come back in coffins so that the military/security complex could continue to loot America with their wars. They are tired of being called names and watching the theft of their country. They understood that Trump was right. The election was their last hope, their last chance to save themselves and their country. And they did. This election was not about who gets to use the female toilet. It wasn’t about whether it is racist to enforce the immigration laws. It wasn’t about how men, however uncouthly, express their sexual interest in women. It was about suffering Americans, whose names no one except a server and the NSA will ever know, fighting back against their oppression. It was about the homeless woman guarding Trump’s star. It was about the betrayed Democrats searching for someone to represent them in Ohio and Pennsylvania. It was about the union men who refused to sell out their futures and vote for a Democrat who is an agent of the One Percent. The media will never interview those men and women. We will never see their faces. But they are us and we are them. They came to the aid of a nation in peril. They did what real Americans have always done. They did the impossible. A week or two ago I received a message from a notorious fugitive named Julie Giles. She complained that she’d recently been arrested, shackled, and cuffed for barbaric and shocking crimes against humanity. The courts determined that she was a threat to herself, her family, and her community, therefore she was seized and charged like the scurrilous criminal she so clearly is. What were these depraved acts, you ask? What sort of atrocities had she committed? What kind of vile transgressions led to her being chained and perp-walked like Charles Manson? Why does this previously law abiding middle aged woman now have her very own mugshot on file over at central booking? Well, her son missed class a few times. You see, according to the compulsory attendance policy at her kid’s public school in Georgia, the district will magnanimously allow a parent to keep their kid home from school up to five times in a year without a doctor’s note. Once they exceed that magically arbitrary fifth “unexcused” absence, every succeeding incident must be specifically prescribed by a medical professional. Even if the parent feels the child should stay home, the school will not allow it unless a doctor agrees. Otherwise, the parent could be thrown in jail, which is a totally reasonable response. Julie’s son unfortunately made the mistake of getting sick more times than the school allows, and so a warrant was issued for his mom’s arrest. Keep in mind, this is not a unique or uncommon situation. Julie is only the latest in a long, long, long line of parents who have been violently reminded that we live in a fascist state where liberty is, increasingly, a mere fiction. A Gofundme account has been set up to help the family deal with the legal expenses, but even if she avoids jail time for her sins, the shame and embarrassment won’t necessarily dissipate so quickly. First, it bears emphasizing that this is insanity. A reasonable person could reach no other conclusion. If you laugh it off, shrug your shoulders and say, “well, that’s the law,” you are a weak, cowed, subservient, un-American, self-hating vassal and you should be ashamed of yourself. Yes, it might be “the law,” but it’s a tyrant’s law. It’s a bad law. It’s a stupid law. It’s a law that says a bureaucrat should exercise greater control over your child than you. It’s a law that ought to be broken and ignored and demolished. It’s a law that has no right to exist in the first place. Second, Julie tells me that her son is an Honor Roll student who averaged a 91 in all of his classes this year. He missed 12 days (although he did have a doctor’s note for some of them, and three were due to a school wide virus that was severe enough to be reported on the local news) and still aced his assignments. That means the absences had no negative impact on him academically. Third, clearly a note from a parent should be required when a student doesn’t show up to school. Kids these days: sometimes they like to cut class and hide in the woods behind the soccer field out back. Or they go to the IHOP down the street and feast on pancakes until someone dimes them out to the assistant principal. Or, you know, some other random example. The point is, requiring a note from a parent makes sense. But requiring a note from a doctor means the parent’s word isn’t good enough. It means parents are stripped of their authority to decide whether their own children should go to school on a particular day. Fourth, find me one doctor who considers this a good policy. Do you think your daughter’s pediatrician wants to have his waiting room clogged by kids with simple colds and stomach bugs? Aside from the financial strain on the parent, think about the strain it puts on these doctor’s offices – not to mention what it does to insurance rates. If I took my kids in every time they had a virus or a bad case of the sniffles, I’d be bankrupt by the end of the year. Kids get sick. When kids spend a lot of time with other kids in enclosed environments, they get sick even more. Usually, a day’s rest, a few bowls of soup, and plenty of fluids are all they need to feel better. At a certain point, as a parent, you begin to understand this reality and elect not to make a doctor’s appointment over every tummy ache or sore throat. In fact, it’s often better not to take them to the doctor because that’s where sick people congregate. A really good way to make your kid go from kind of sick to really sick is to drag their weakened immune system to a place where more serious germs are prowling for a fresh respiratory system or digestive tract to infiltrate. But, fifth, that’s all irrelevant. The point is that I am a parent. A father, in my case. As a father, I have been endowed by God with a certain fundamental authority over my progeny. He has given them to me and to my wife. He has entrusted them to our care. They are ours. We don’t own them like objects or slaves, but they are our jurisdiction and responsibility. They are my children. I don’t own them like objects but they are my jurisdiction and responsibility. Yes, a parent can rightly lose that authority. If they treat their kids in abusive, violent, and heinous ways, their God-given parental rights can be taken from them — just as any right can be taken from people who reveal themselves to be a danger to those around them. These people, for instance, who locked a 5-year-old child in a closet and nearly starved him to death obviously deserve to have all of their rights permanently rescinded. Unlike Julie Giles, these despicable people ought to be chained and locked in a cage like dogs. But just because a small percentage of parents have acted in monstrous and unspeakable ways doesn’t mean all of us should be covered in a cloak of suspicion. Just because a minority have been exposed as fatally sadistic and incompetent doesn’t mean we should all be micromanaged and infantilized. And, importantly, just because a certain number of parents fall somewhere on the scale between “selfish idiot” and “murderous wretch” doesn’t mean public schools suddenly become defacto daddies to every single child within a 20-mile radius of their building. Schools are just schools. They are places that teach students how to say the ABCs, how to add two plus two, and how to use lube and get abortions. You know, the basic stuff. They are not foster parents. They are not kings. They are not gods. Our children are not owed to them. They exercise no ownership over them. In a free country (so, not this one) a school would be a tool for parents to use. A place to which parents delegate some temporary and conditional authority. Authority that can be revoked at any time, for any reason. Period. In a nation where liberty is cherished and protected, I can take my kids out of school because they’re sick, or because I want to bring them on an educational trip to Gettysburg or Fort McHenry, or because there’s a personal or family matter that needs to be attended to, or because I just feel like it, damn it. All the school needs to know or deserves to know is that I, the parent, have given my child permission to miss classes for the day. I do not need permission from the school in order to grant permission to the being my wife and I have conceived and raised and housed and fed and loved and funded for his entire life. In a nation where the family is revered as sovereign and sacred, this is how it would be. Tragically, we don’t live in that nation. We live in one where this kind of outrageous nonsense happens on a regular basis. It is certainly grossly offensive that a woman can be put in chains for keeping a sick kid home from school, but is it highly unusual or remarkable? Every state in America has compulsory education laws on the books. In every part of this country there are government buildings where all kids nearby are automatically required to assemble six hours a day, five days a week, nine months a year, for at least 12 years. In these buildings, they are taught whatever a bunch of government bureaucrats think they should be taught; and they are subjected to whatever ideas, policies, propaganda, and rules the government thinks they should be subjected to; and every day their identities, belief systems, and futures are shaped and molded according to the whims of the state. There are things you can do to circumvent or avoid this process, but there are plenty of regulations in place to make that more difficult. And aside from the regulations, our society is so profoundly centered around the compulsory government education system that many of us have become dependent upon it. While we whine and cry about so many other government intrusions, none of them — not a single one — has been as effective at fundamentally changing our values and our views on life as compulsory government schooling. Because the government requires our kids to leave us at the age of four or five, and spend most of their time in these giant factory-like structures where they are constantly deconstructed and reassembled in the image of the state, we have ourselves adopted the belief that things should be this way. We’ve arrived at the near-universal conclusion that the home is just a place where everyone returns at the end of the day, after spending most of their time serving at the behest and under the authority of teachers, bosses, and coworkers. 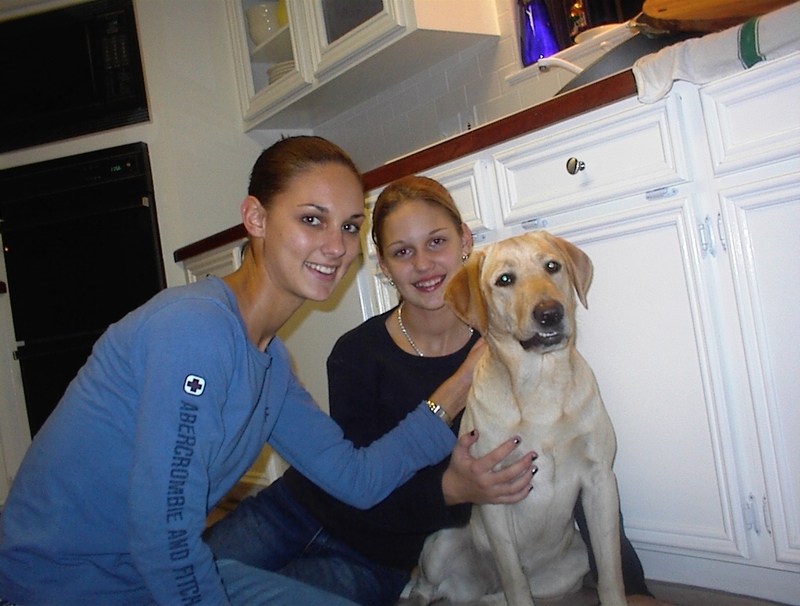 In the modern arrangement, the only family member who actually spends significant time in the home is the dog. For everyone else, it’s just a place to sleep before you go your separate ways again in the morning. It’s a staging ground of sorts. It’s a temporary break from the more important business of sitting at a desk in a school building or a cubicle. If that’s all a home and a family really are, then I suppose compulsory government education makes sense. If kids aren’t meant to spend extensive amounts of time in their homes and around their parents, then the law should indeed protect them from the very damaging effects of prolonged parent-exposure. So if this is built on a false premise — if it is, in fact, wrong to assume that families should ideally be pulled apart and separated for most of the day, every day – then what happened to Julie Giles is a (common and predictable) atrocity. In that case, compulsory attendance should be abolished, and as a result, public education itself should be called into question. In fact, all of our modern notions about education, the family, and the home ought to be reexamined and ultimately upended. In the mean time, though, while we await the general reawakening of the American people, the best course of action, individually, is to search for alternatives outside of government education. Homeschool is a great choice. If you can’t do that, look into private schools or charter schools. If all else fails, I always suggest releasing your child into the wilderness to be raised by coyotes before sending them to government educational factories. They’ll probably end up more mentally and emotionally adjusted than they would in our current public school system. In lieu of all of those options, public school might be your only remaining choice. If you go that route, just realize what it means. You are forfeiting your parental rights. The schools have made this terrible and unconstitutional fact clear, and the courts have backed them up. Make sure you understand that going in. And, as a side note, make sure your kid is taking his vitamin C. After all, if he gets a cold you might end up in prison. Then something amazing happened that changed all the rules. My oldest son (through marriage) got married to a beautiful, sweet girl, from Texas, of course, and in a few years, they had a son! I was won over, as Papa, instantly. I loved that little baby boy so much I can’t even describe it in words. He and I were buddies from the very beginning, and though we live in the Houston metro are, we would fly or drive to Austin regularly. At this point, I’m semi retired and have the time and desire to make these weekend trips. Two and one half years later (2014) the same couple had a baby girl. 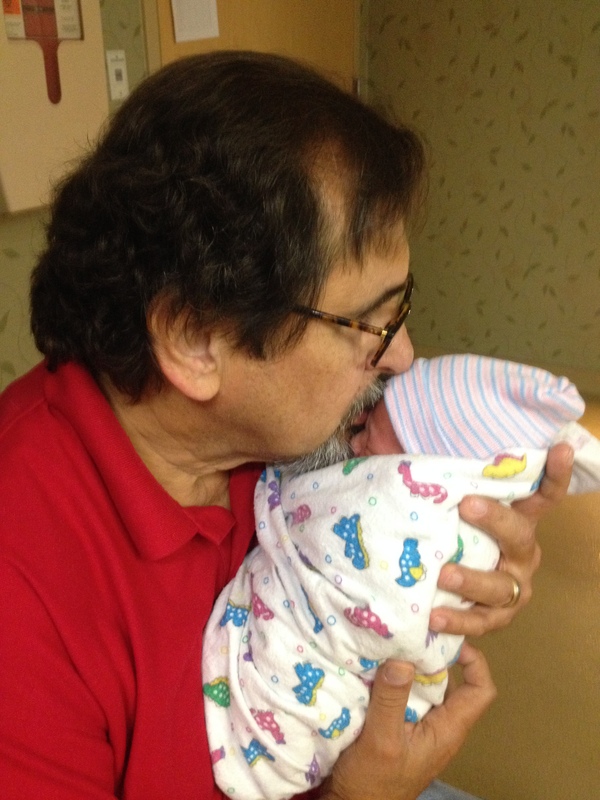 I was overcome with joy (my fist two children were girls, and I couldn’t wait to have a granddaughter). My mother and father had five children, all married now, and 13 grandchildren. I watched, with some curiosity, how my parents had changed in there approach to child rearing, when it concerned the grandchildren. So much different than when we were growing up! They were nice and spoiled the grands rotten, while still holding some sense of order, it was surrealistic! I am now smack dab in the middle of that surrealism. I sit and watch in wonder as these babies go through their life. 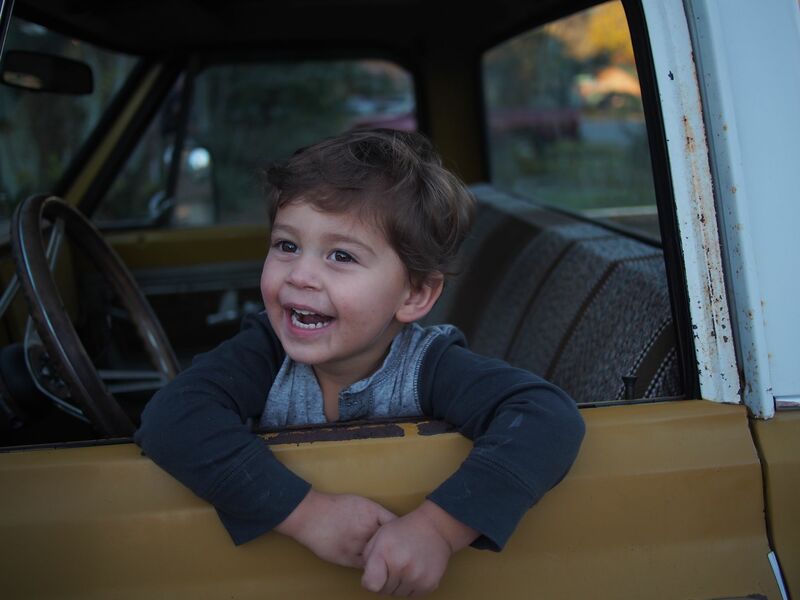 My grandson is now two and a half and fully in to being a little boy. I can sit in the back yard with him and watch him play with his cars, both little and ride upon. 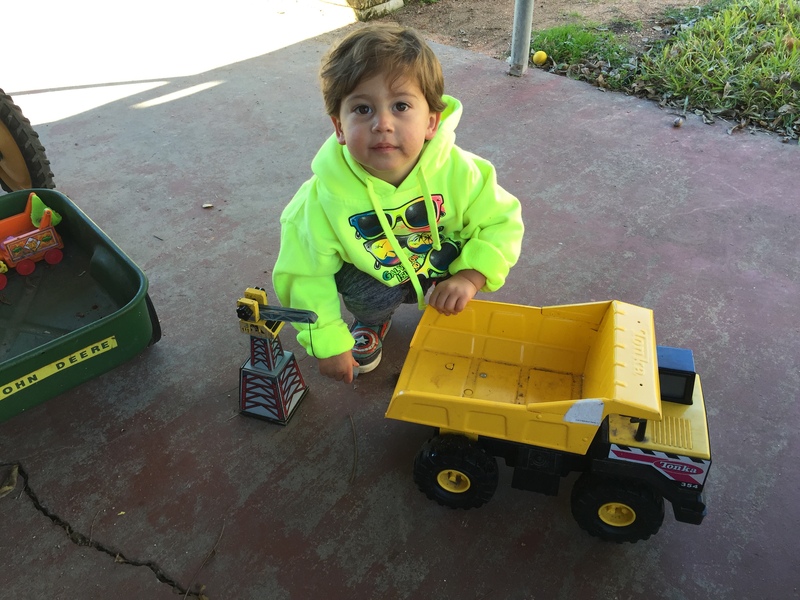 I watch him pick up 1 gallon paint cans and carry them to his “Little Tikes” truck, load then up and then ride his truck to another location and then take the cans out. His sandbox was covered with a tarp that was full of rainwater and he wanted to play in the sandbox. I picked up a five gallon bucket and started to bail water. He went an found one of his little buckets and started to help me. Together, we bailed 60 gallons of water out of that tarp. When we removed the tarp, here was about 35 more gallons in the sand itself, so we bailed it out. My feet were wet and Waylan’s shirt and pants were soaked, but we finished the job, and had so much fun doing it. 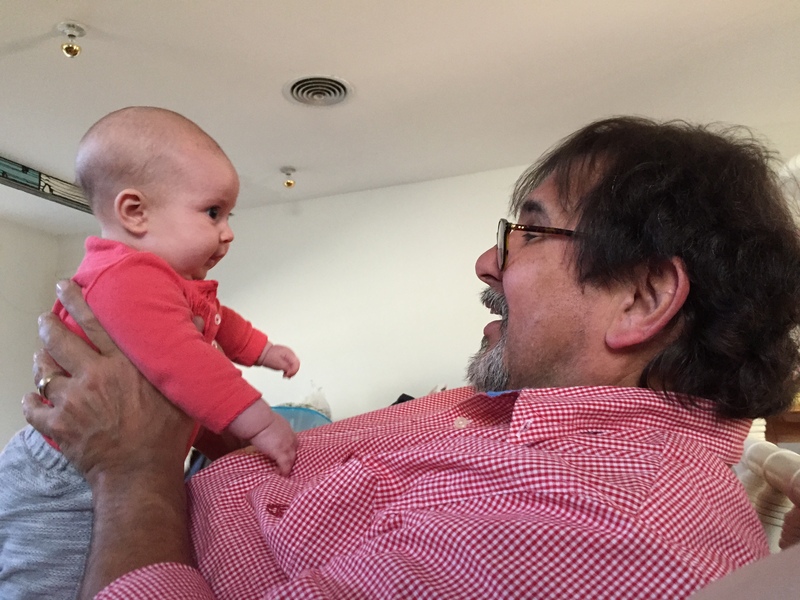 I spent several hours each day holding my almost 4 month old granddaughter and we “talked”. She looks at me intently as I tell her how she is beautiful and how she will be the “belle of the ball”. As I talk, she will grin in a big open mouth smile that almost becomes an out loud laugh. The we snuggle. I cannot stop watching and smiling, and I cannot get them out of my mind. Why am I like this? Well, I think that God gives you children and you spend your time working to support the family and trying to raise the children to be responsible adults and you don’t stop and “smell the roses”. But then God gives you grandchildren from those that you raised, and it’s your job to just love them. That’s it. Take all the time you need to LOVE THEM. Enjoy watching them, no matter what they are doing. Take walks with them. Explore leaves and bugs and dogs and squirrels and such. Eat grapes and play with the food. Go swimming. At this time in life, what else IS there to do. You are to be the grandchild’s best friend. Support their parent’s rearing wishes and reinforce their methods, but be fun and spend all the time you can with them. 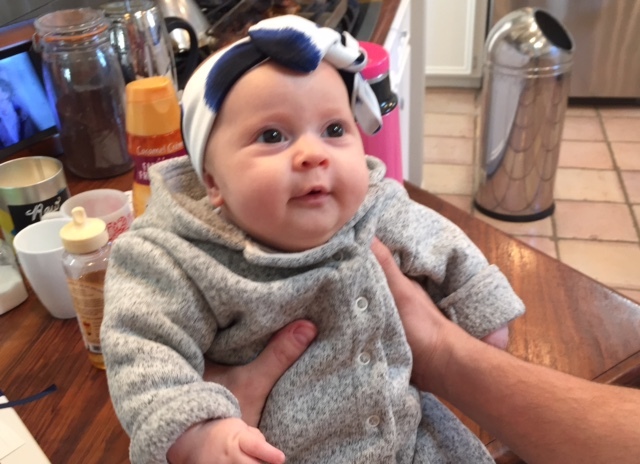 This is God’s gift to parents…letting them be grandparents! The boy sat on the bench, quietly freezing. His breath making big clouds of “smoke”. It was still dark, and he imagined all kinds of predators surrounding him. His father was quite far away on the other side of the meadow. The he would think about him being fifteen feet up the tree, and the shotgun he held, and he felt better. As the dawn approached, he started to see shapes around the edge of the meadow – shapes he could not fully recognize. Is that a deer? Is that a wolf? (there were no wolves, but plenty of coyotes and foxes). Is that a turkey? Nothing made sense… why can’t he see clearly. How can he shoot a deer if he can’t see it? Dawn did finally come, and the world awakened. Birds started chirping, the squirrels started chattering. He could hear dogs barking, cows mooing and donkeys braying. Now, where are the deer? As he sat and listened, being entirely still and silent, A head poked out of the brush about fifty yards away. He held his breath, waiting to see antlers. The animal moved very slowly and cautiously. Finally, it stepped out into the open! No antlers!!! It was a doe with a fawn. No way could he shoot this animal. As she walked out into the field to eat, three others followed, one with a fawn and the others without. He was fascinated by the majesty and and alertness of these beautiful animals, and wondered If he could actually kill a big, antlered buck? The boy continued to sit and wait. The small group of deer moved slowly across the meadow, grazing cautiously. As he sat and watched them, constantly shifting his eyes to the perimeter of the woods, he was as still as a statue. Suddenly, out of nowhere, there was a loud shot and a ricochet sound. His father had shot at something with his 30-30 Winchester. The boy sat still, hoping that shot would bring other deer out of the foliage. Of course the little group he had been watching were gone in an instant! He sat and waited, but no more deer showed. He figured his father would come and get him soon, to help with the field dressing and the carry out of the carcass. Eventually, he saw his father walking slowly around the edge of the woods, dragging something. When he got to the boy’s tree, the boy lowered his shotgun with the rope, and then cautiously climbed down the rickety “steps”. When he was safely down, he questioned his dad about the shot. His father then drug a body in front of the boy. It was a coyote. He asked “why did you shoot it?”. His father replied that coyotes kill chickens and calves and other small farm animal, of which he and his family owned and raised. So he understood why, at that point. But you can’t eat a coyote!! This experience formed the boy’s outlook on hunting that lasted a lifetime. He learned that patience really is a virtue. He learned that some animals must be killed to protect your own home and farm. He learned that he really loved the hunt – the sounds and smells of the darkness, and the the waking up of the world at dawn. As he grew older, he continued to hunt, never killing anything that he couldn’t or wouldn’t eat, and never anything that wasn’t a danger to him or his homestead. Indeed, as he had children he took them on hunting trips. His daughters enjoyed the trips and being away, but did not like the act of killing. (they thought meat comes from a styrofoam package), but his sons both became hunters, and good ones at that. When he hunted together with his family, it was the best times of his life, and continues to be. Now, he’s waiting for his grandson to come of age to take him on the family hunts. That day will not be far away, and the tradition will continue in his family. The boy walked quietly through the woods, following his father. It was very early and dark…maybe the middle of the night. He could hear all the nighttime sounds. He could smell the earth, the leaves and coffee, Winston’s and Old Spice after shave, all familiar to him. Branches were being bent and slapping back into place, twigs were snapping and leaves were rustling. Why was HE supposed to “walk like and Indian” while his father, more Indian than him, surely wasn’t! The boy was almost 8 years old, fairly large for his age, and carried his grandfather’s doubled barreled shotgun. It was long and heavy and FANTASTIC! He was going on his first real deer hunt! The pair walked on through the woods for what seemed like hours, with him being careful not to make a sound. In his mind, he was a Cherokee scout, tracking for Daniel Boone. He needed to be alert and sneaky. Suddenly, there appeared a large clearing and the moonlight shone brightly. They had reached their destination! His father took him to a tree with small boards nailed to the trunk. At the top of those boards were two 2x4s nailed to the tree trunk with a 1×12 on the top of them, forming a “bench”. He started to climb while his father held the gun for him. It seemed to take forever; the slats of wood were not very stable and added to the tension. When he reached the top of the steps, he struggled to get onto the “bench”. The he looked down for the first time and realized how high up he was! The bench was small and the tree seemed to be moving, but, not wanting to be a “baby”, he dutifully dropped his rope so his father could tie the gun onto it. The boy then hoisted the shotgun up to the platform. 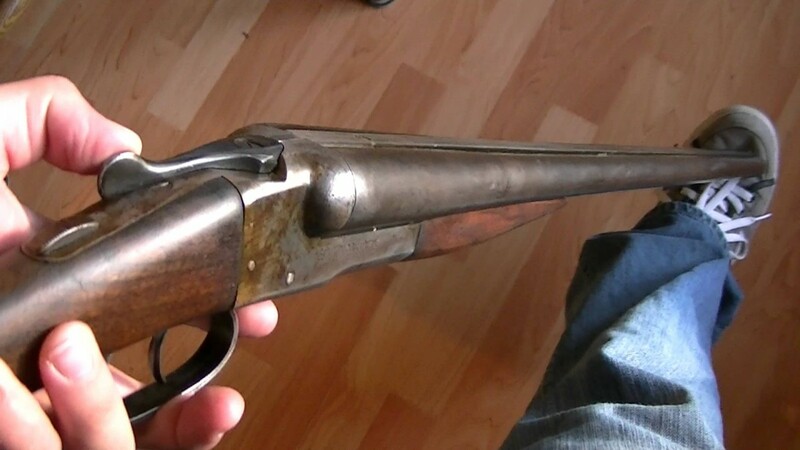 Once he had it stabilized, he broke it open and loaded two 12 gauge buckshot shell into the barrels, closed the breach and said to his father, “A-OK”. The he started looking out across the meadow. Now it was time to watch and wait. I start the new endeavor on Monday, January 5th. I hope you will like what I have to say, and if you don’t, please comment and suggest what you would like to hear…I have deep resources. My Holidays were spent with these two rugrats. I think they are kind of cute! I recently posted about my great weekend. The anniversary, the baby, etc. Today, I am sucking in all the beauty that is Houston in the fall. Perfect skies, perfect temp, newly mowed lawn and my pup sleeping beside me as I write. However, on Tuesday morning around 0800, I received a text from my favorite PA, Erin. She had the results of my blood-work that I had done on Friday (my granddaughter’s birthday). This was supposed to be the 4 week post Sovaldi viral load check. It was actually closer to 6 weeks. So far, since week 4 of the regimen, my Hep C has been undetectable. So…I am going back on meds, again. Starting in about 1-2 weeks, and will be on those meds for another 6 months. We should have better results this time since the drug combines 2 direct acting antivirals, where as the last treatment only had 1. They are both in the same pill, and have no bad side effects like the Ribavirin I was taking with the last treatment (no more anemia or shortness of breath!!!). So the word is… go Harvoni! And lots of prayer is needed and appreciated.